First impressions tend to last, especially when it comes to branding. So, it’s no surprise that companies are looking for business cards that are more unique than ever. 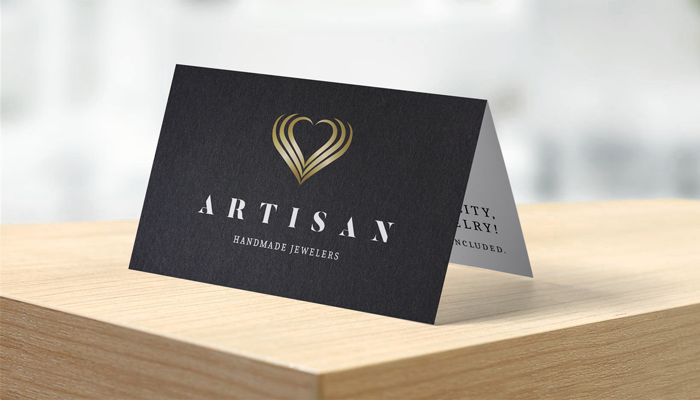 As more and more business owners veer away from traditional styles, we’re noticing a new and modern aesthetic we can’t get enough of – black business cards! 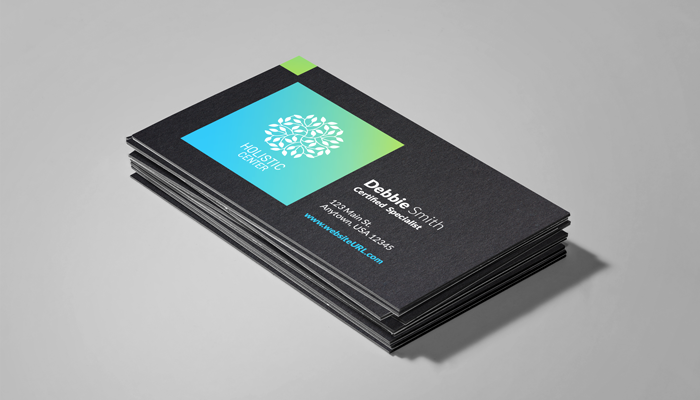 A high-quality, beautifully designed black business card will instantly set you apart from the others. 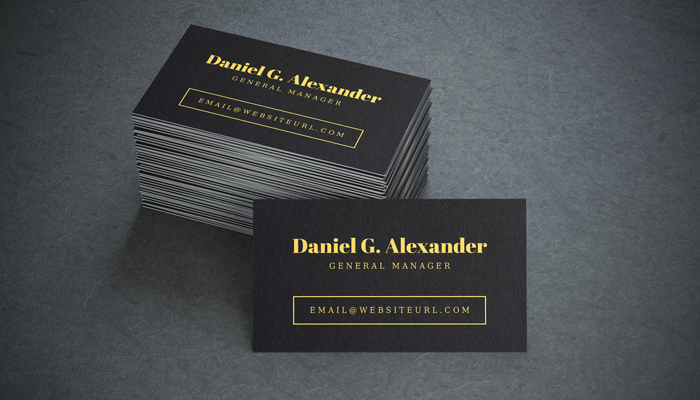 If you’re looking to print black business cards and need a little inspiration, check out some of our favorite designs below. 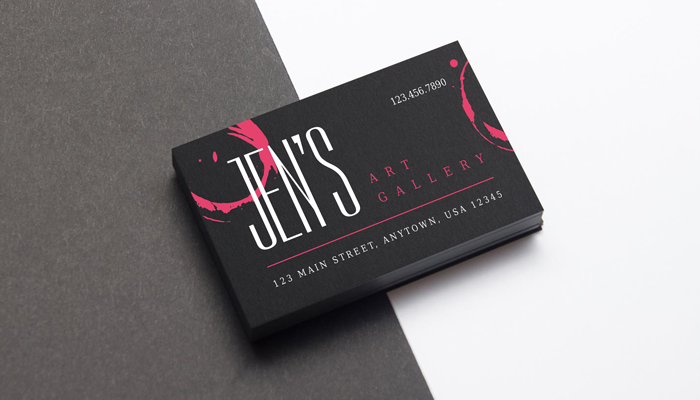 A black and white business card is the perfect compromise between traditional and contemporary. Whether you go with a marbled backdrop or a solid black background with white text, black and white business cards are extremely versatile. Black business cards don’t always need to be serious or drab. Adding a bright pop of color such as pink text or graphics infuses your card design with a sense of whimsy and playfulness. A black business card looks good but is not always ideal if you have a lot of text. Have the best of both worlds with a folded business card! 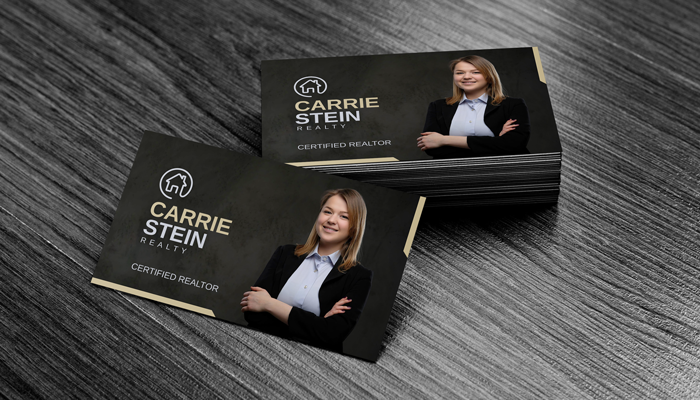 Use a black background for the outside of the card to display your logo and company name. Include any additional information inside the card, using a lighter background color, so the text is easier to read. Give your business cards a whimsical and romantic touch with a vintage-inspired chalkboard design. 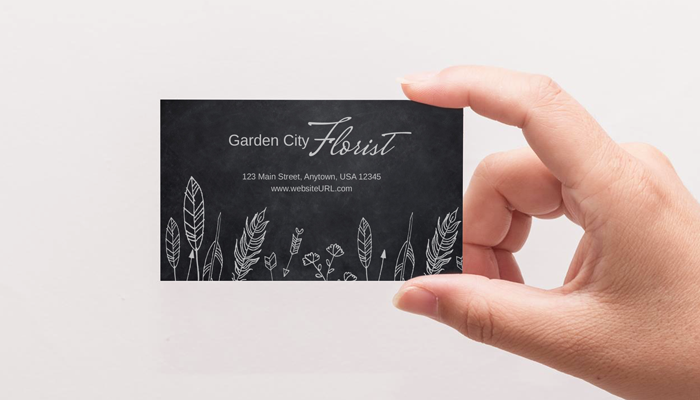 A chalkboard business card works well for teachers, wedding planners, and florists. 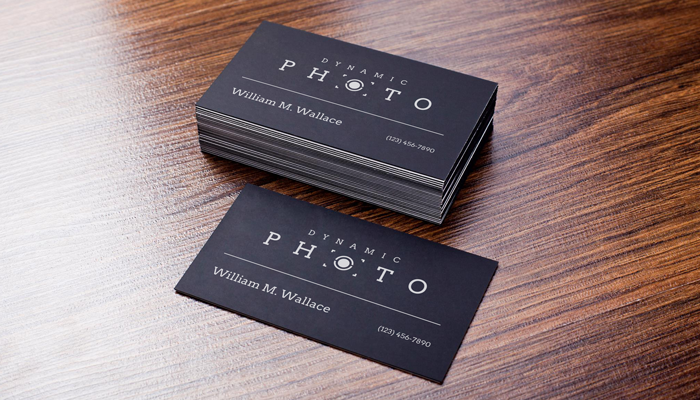 Although a black backdrop may not immediately come to mind when designing photo business cards, it can look surprisingly sophisticated. A full-bleed black-and-white photo on a matte business card is a great way to showcase professional photography work. Alternatively, a full-color photo or headshot will look especially vibrant when displayed against a solid black background. 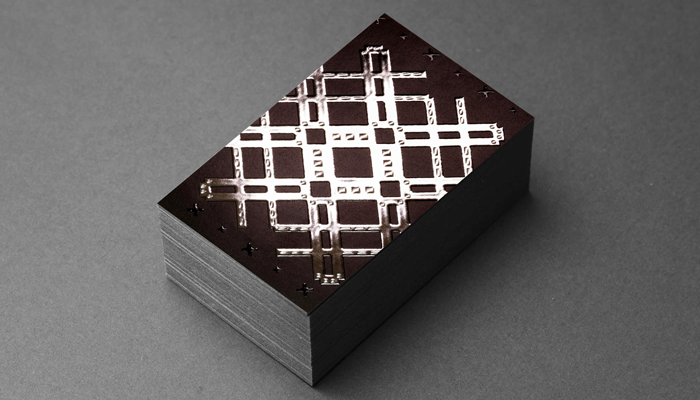 Make your black business cards stand out even more with special shapes. 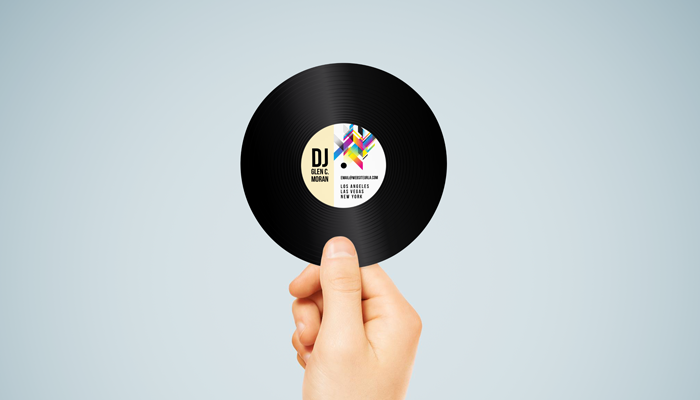 For example, musicians and DJs looking for distinctive business cards can get creative with circle business cards that resemble vinyl records. Creative professionals and high-end brands looking for a sleek and minimal design can’t go wrong with thick black business cards. Since every single promotional item should reinforce your commitment to quality, choose a substantial triple-layer paper stock (like our Trifecta Black). One last tip – if you’re ordering black business cards, one of the most important considerations is which paper stock you should use. Dark, high-density colors are generally not recommended for uncoated stocks as the ink on the paper can transfer onto facing pages or other cards in the batch (this is known as offsetting). A black business card with a glossy finish looks smooth and satiny, but the resulting glare can make the text harder to read. 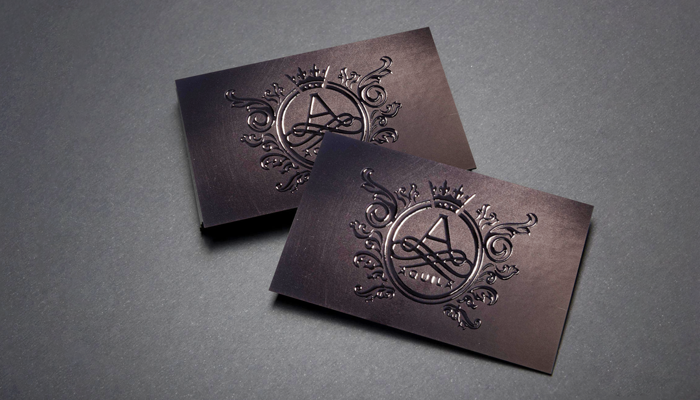 For a black business card with a more luxurious and understated feel, print your design on a premium matte paper stock. 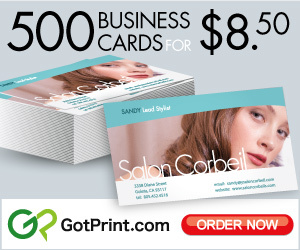 To browse our collection of black business card templates (and more), visit our design gallery today!